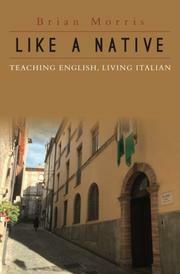 An American physician takes a post teaching English to Italian schoolchildren in this debut memoir. Disillusioned with medicine and a dead-end relationship, Morris accepted a temporary teaching position in the small Italian city of Civitanova, exchanging public school classes and private tutoring for free room and board with his charming host family, the Pezzonis. Morris experienced Italian life outside of the tourist centers of Rome and Florence and certainly cut an anomalous figure while doing it: a middle-aged American man in a school operated almost entirely by stylish Italian women, lacking a salary or car and subsequently totally dependent on his hosts. He was virtually the only American tutor in the area who was male or above the age of 30. Yet the education challenges he encountered should be familiar to teachers from all walks of life: overcrowded classrooms, easily distracted and hormonally charged students, and institutional chaos. Morris was a committed, genuinely passionate teacher, and as the semester progressed he explored techniques to engage both his rambunctious public school students and his private pupils. He eventually became the strict yet beloved disciplinarian of the school and, at the end of the year, organized an English-speaking contest that culminated in an emotional awards ceremony. Meanwhile, he sampled the neighborhood winery at bargain prices, introduced his Italian hosts to American-style chili, and engaged in brief flirtations with his fellow teachers. The narrative fires rapidly through encounters with many different students, which can make keeping track of who is who difficult. Morris expresses frustrated bemusement at his American colleagues’ inability to articulate why they are teaching English in Italy but doesn’t share an answer for himself. A more probing exploration of Morris’ own past and psyche, beyond a few hints regarding romantic strife, professional frustration, and familial estrangement, would render his triumphs and failures more impactful. Leaving the story of a man walking away from his old life essentially untold, the book instead delivers a slight travelogue that overflows with Morris’ clear love of Italian culture, food, and people. A light and sweet account of an outsider’s encounter with Italy’s education system, customs, and cuisine.